We are all guilty of losing our car keys from time to time. In urgent cases you may have had to rely on the help of a local locksmith to help you out with new keys. Here we want to point out a handful of helpful tips for keeping your keys safe and sound from loss or damage. Avoid the horrific delays, frustration and hassle that comes from misplacing your car keys by giving one or all of these ideas a try. These come in a range of designs and pricing. Some will come with apps and allow you to find your keys with a navigation system that links to your smartphone. If you lose your keys while out and about, you'll either need a means of getting a second set of replacement car keys, or finding the ones you lost with this type of device. The more uniform you keep your day to day, the lower the chances that things can slip out of place. Carry a certain purse or assign a pocket that is solely responsible for housing your keys. This way your routine is cemented and anything outside of it will raise your concern. 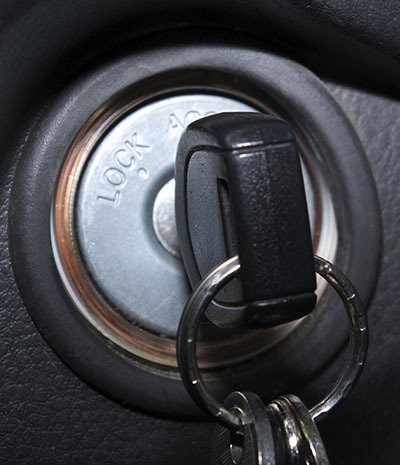 Mobile keys and keyless entry has created this bad habit within many modern drivers. There is a temptation to keep keys in your hand when dashing here and there to do things quickly. This can be a mistake and lead to you placing keys down as soon as something else is given to you to hold, or you have to swap hands for whole variety of reasons. Play it safe, always store them, don't hold them. Almost all locksmith companies will offer lock repair, mobile key replacement and cutting as well as emergency electronic car key replacement. As a safety net, you should always keep the contact details of your locksmith on you at all times,especially if your keys have a habit of running away from you. In times like these- remember our company is always at your service!